Professor Wilson is Director of the Australian Prevention Partnership Centre and Co-Director of the Menzies Centre for Health Policy at the University of Sydney. His research and teaching interests include all aspects of health policy, but especially in the area of chronic disease. In addition to his academic career, he has been Deputy Director General, Policy, Planning and Resourcing, Queensland Health, and Chief Health Officer, and Deputy Director General, Public Health, NSW Health. 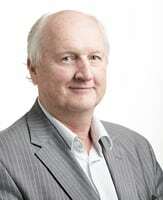 He chairs the Pharmaceutical Benefits Advisory Committee for the Australian Government Department of Health. What is The Australian Prevention Partnership Centre?